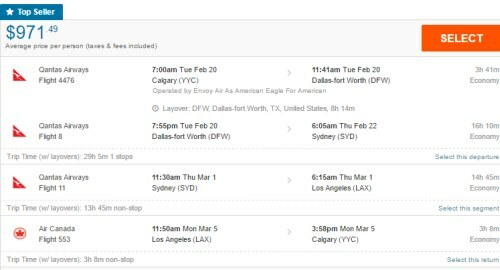 Qantas (a great airline, typically ranked somewhere in the top 15 in the world) has dropped the price of their February, March, and April 2018 flights from Calgary to Sydney, Australia down to $972 CAD roundtrip including taxes. February and March are summer. April is the beginning of fall. Most of the flights have a long layover in one of the directions. Some flights have 2 stops in one of the directions. ^^ This flight has a 10 hour layover on the way there, 5 on the way back. ^^ This flight has a 10 hour layover on the way there, and then a 2 hour layover and a 1 hour layover on the way back. I've seen better layover options towards April and May. Some dates in April and May have just 1 layover each way, with more ideal layover lengths. 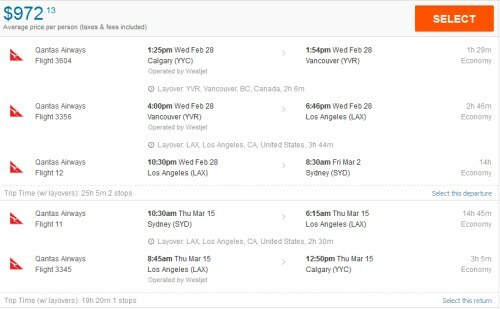 Here are some other example dates, which can give an idea of the various layover options available in February and March. Feb 12 to Feb 27 (9 -5) -- new! Feb 12 to Feb 28, Mar 1 (9 - 2/1) -- new! Mar 12 to Mar 26, 28, 29 (9 - 5) -- new! Mar 13 to Mar 26, 27, 28, 29 (1 - 5) -- new! These are just example dates. Try other dates in February, March, April, and May 2018. Important: Once your search completes, click on 'Flexible Dates' (near the middle of your screen). Look for the dates that are $972. Click on these flights. You may want to try a few different date combinations. The fastest flights may not be the flights at the very top of your search results, sometimes you need to check out the first 3 or 4 flights. 4. As for the dates to use, for the first and last legs of the journey, try using the start and end dates from the regular roundtrip flight dates in the section above. And then play around with the middle date, to give you more or less time in Australia vs Los Angeles. 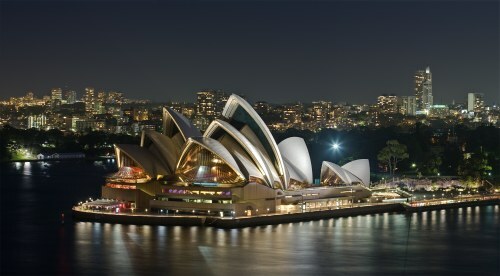 calgary, yyc, flight deals, sydney, australia, syd, qantas, australasia, oceania, melbourne, mel, brisbane and bne.